ola riders! Estamos começando os reviews do mais novo deck especial chamado Structure Deck Soulburner ! LETS GO! 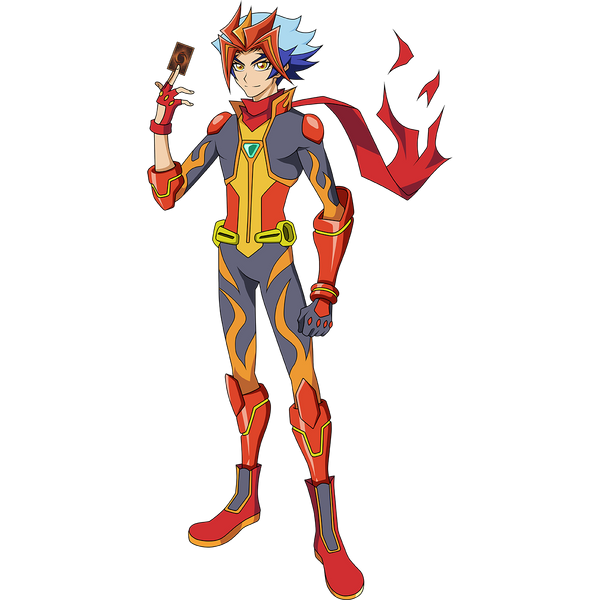 O arquetipo pertence ao personagem soul burner, um dos novos protagonistas da segunda temporada do anime. Como playmaker, ele tambem é um sobrevivente do "lost incident" aonde crianças foram raptadas pelos "knights of hanoi" para criaçao de super inteligencias artificiais chamadas "ignis". Souburner inclusive possue um ignis como parceiro chamado "flame"
é uma raça de cyberse fire monstros. os levels oscilam entre 2 e 4 no momento. possuem habilidade de hand summon e grave summon e, desta forma, criam field advantage ou tribute fodder pra link summons. alem disso tem suporte pra ritual mechanics. Observe que como se trata de um cyberse arquetipo eu espero que parte do suporte do deck playmaker tambem va servir pra salamgreat. 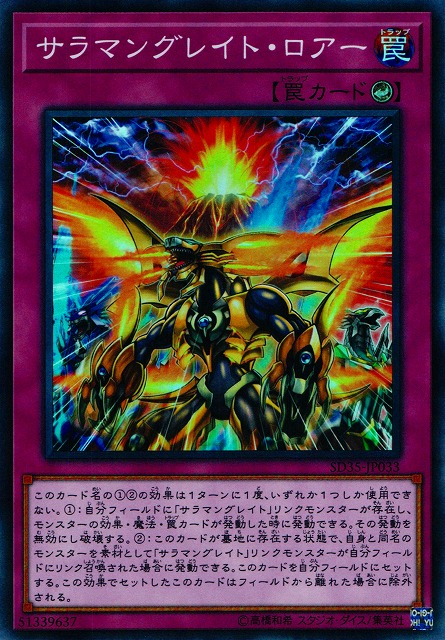 (1) When a “Salamangreat” monster you control is select for an opponent’s attack: You can send this card from your hand to the GY, then target those 2 battling monsters; gain LP equal to the attacking monster’s ATK, also your targeted monster cannot be destroyed battle for the rest of this turn. (2) When a “Salamangreat” monster you control destroys an opponent’s monster by battle and sends it to the GY while this card is in your GY: You can add this card to your hand. You can only use the (1)st and (2)nd effects of this card’s name each once per turn. (1) During the Main Phase of a turn in which you Link Summoned a Link Monster: You can Special Summon this card from your hand to your Monster Zone that a Link Monster points to. (2) If you control no monsters: You can banish this card from the GY, then target 5 “Salamangreat” cards in your GY; shuffle all of those cards into your Deck, and if you do, draw 2 cards. You can only use this card name’s (1) and (2) effects once per turn each. 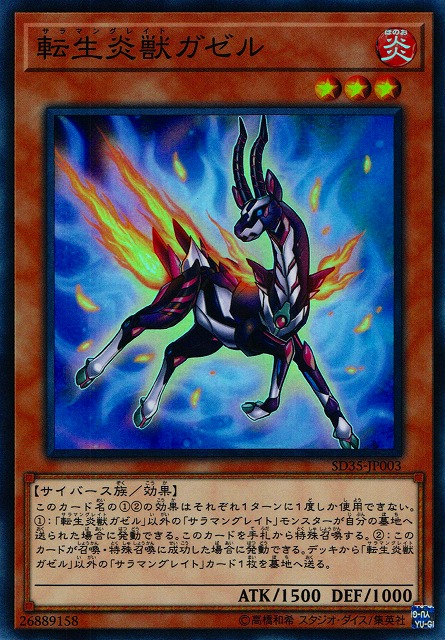 (1) If a “Salamangreat” monster is sent to your GY, except “Salamangreat Gazelle”: You can Special Summon this card from your hand. 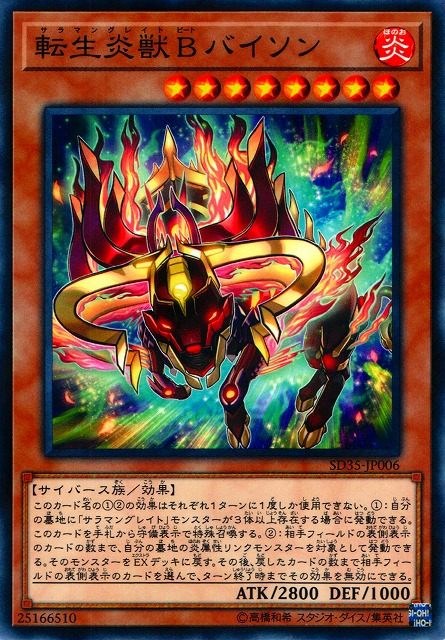 (2) If this card is Normal/Special Summoned: You can send 1 “Salamangreat” card from your Deck to the GY, except “Salamangreat Gazelle”. You can only use this card name’s (1) and (2) effects once per turn each. (1) If you control a “Salamangreat” card: You can discard this card, then target 1 face-up monster; it gains 500 ATK until the end of this turn. 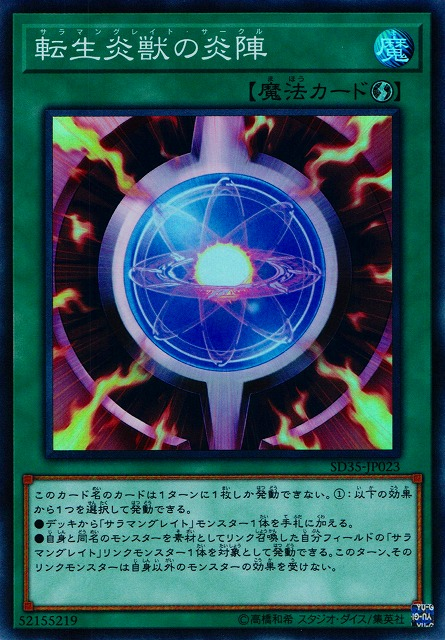 (2) If you control a “Salamangreat” monster other than “Salamangreat Spinny”: You can Special Summon this card from your GY, but banish it if it leaves the field. 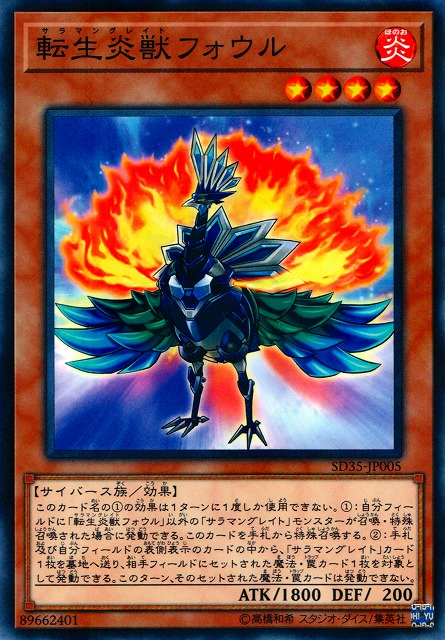 (1) If a “Salamangreat” monster is Normal/Special Summoned to your field, except “Salamangreat Fowl”: You can Special Summon this card from your hand. (2) You can send 1 “Salamangreat” card from your hand or face-up from your field to the GY, then target 1 Set Spell/Trap your opponent controls; that target cannot be activated during this turn. You can only use this card name’s (1) and (2) effects once per turn each. 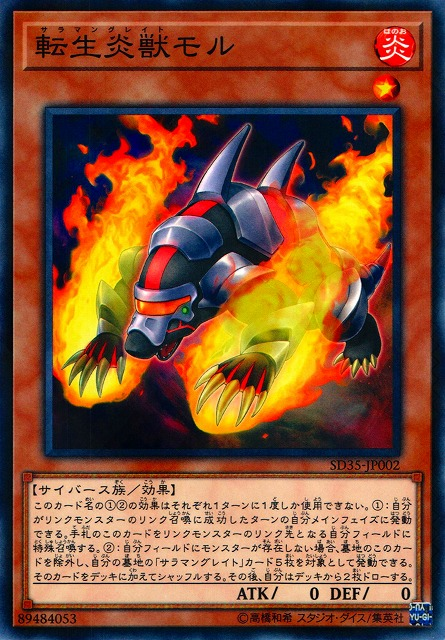 (1) If there are 3 or more “Salamangreat” monsters in your GY: You can Special Summon this card from your hand in Defense Position. 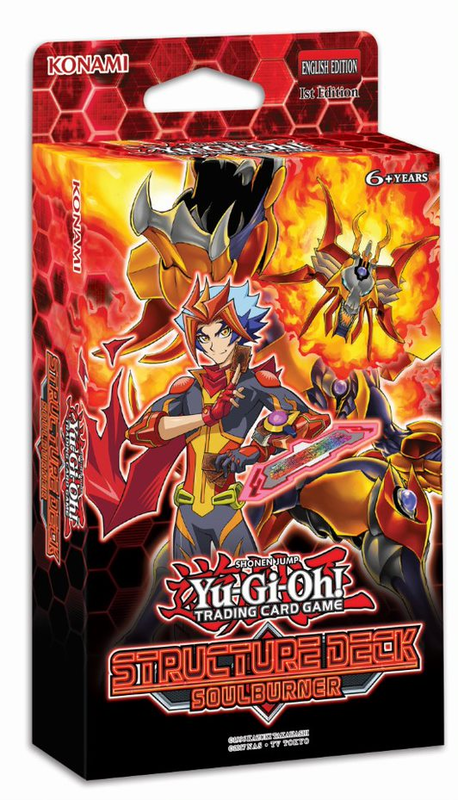 (2) You can target any number of FIRE Link Monsters in your GY, up to the number of face-up cards your opponent controls; return them to the Deck, then negate the effects of any number of face-up cards your opponent controls until the end of this turn, up to the number of cards returned. • Add 1 “Salamangreat” monster from your Deck to your hand. • Target 1 “Salamangreat” Link Monster you control that was Link Summoned using Link Material with the same name as itself; it is unaffected by other monster effects for the rest of this turn. Equip only to a “Salamangreat” monster. (1) You can only have 1 face-up “Salamangreat Claw” on your field. (2) The equipped monster cannot be destroyed by battle or card effect, and inflicts piercing battle damage if attacks a Defense Position monster. (3) If the equipped monster was Link Summoned using a monster with the same name as it as Link Material, during each Battle Phase, that monster can attack a number of monsters up to its Link Rating. 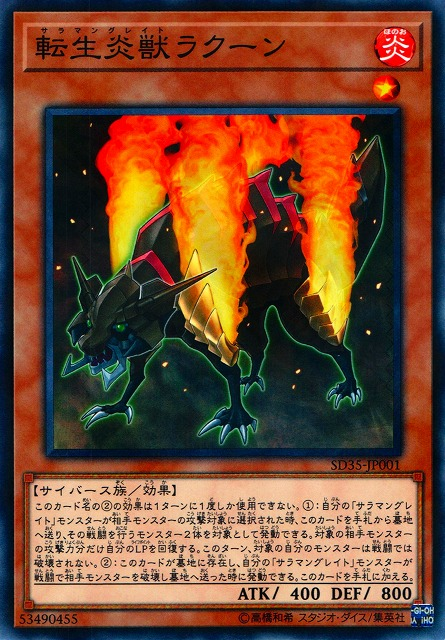 ● Send 1 "Salamangreat" monster from your hand or face-up field to the GY, then target 1 card on the field; destroy it. ● Target 1 "Salamangreat" Link Monster you control that was Link Summoned using a monster with its same name as material; destroy cards your opponent controls, up to that monster's Link Rating. You can only activate 1 "Salamangreat Rage" per turn. You can only use this card name’s (1) or (2) effect per turn, and only once that turn. 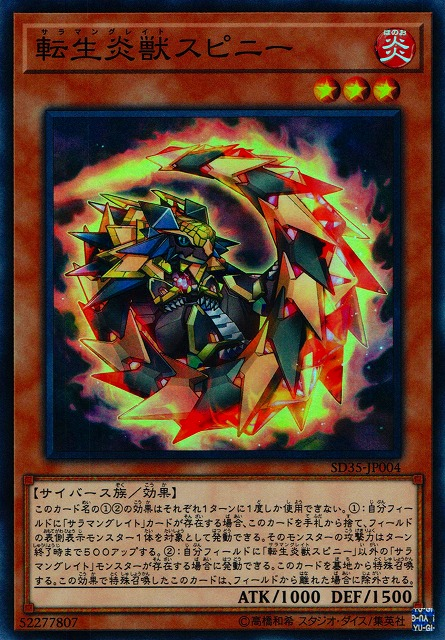 (1) When a monster effect, or a Spell/Trap Card, is activated while you control a “Salamangreat” Link Monster: Negate that activation, and if you do, destroy it. (2) If a “Salamangreat” Link Monster is Link Summoned to your field using a card with the same name as itself as material while this card is in your GY: You can Set this card to your field, but banish it if it leaves the field. You can only use this card’s name’s 1)/2) effects once per turn each. 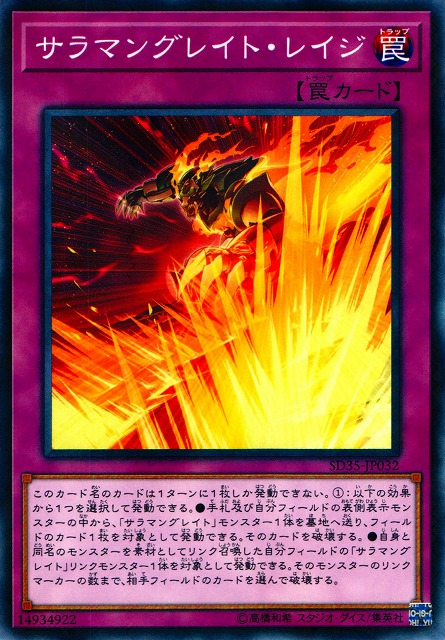 (1): You can detach 1 material from this card; Special Summon 1 “Salamangreat” monster from your Deck in face-up Defense Position, also for the rest of this turn, you cannot activate monster effects, except FIRE monsters’ effects. 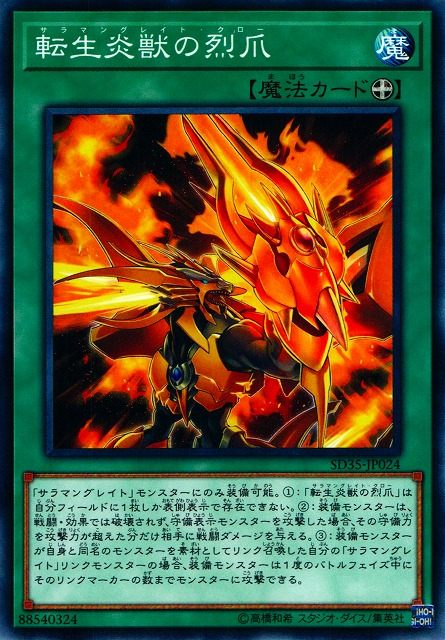 (2) If this Xyz Summoned card is sent to the GY for the Link Summon of a “Salamangreat” Link Monster, you can target 1 monster on the field; return that monster to its owner’s hand. comentários: xyz monstro com formula genérica! deck summoner. se usado num link summon, ativa efeito de bounce. MUITO BOM! You can only activate the 1st and 2nd effects of this card’s name once per turn. (1) If this card is Link Summoned: You can add 1 “Salamangreat Sanctuary” from your Deck to your hand. (2) If a “Salamangreat” card you control would be destroyed by battle or card effect, you can banish this card from your GY instead. é um arquétipo que promete; o problema é que soulburner fez seu debut na segunda temporada do anime, quando 3 ou mais sets já foram criados. Pra poder ser minimamente jogável, a konami vai ter de investir pesado nele. felizmente é um cyberse tema; logo pode usar parte dos suportes do deck yusei. [NEW] ALL NEW SALAMANGREAT SUPPORT DECK 11/2018 - SALAMANGREAT XYZ IS TOO STRONG OMG !! !